Oil and gas sites require a lot of equipment that often operates in remote locations, making it challenging for energy companies to keep track of operations. To manage some of these complexities, operators are deploying devices that monitor and collect data from field equipment to ensure proper operation, automate processes, and deploy quick corrective measures when issues are detected. Using a system that works across all operations, energy companies can get production data and notifications on any critical events without the need to dispatch field personnel. Uninterrupted operation of this vital equipment is imperative for profitability. Compressor downtime can cost thousands of dollars per hour in lost production. 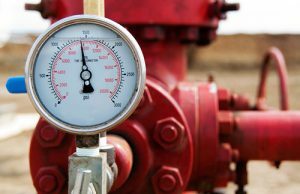 Often, energy companies don’t know when their production wellhead compressors have stopped functioning unless someone drives to the site and checks on status. Remote monitoring of compressors helps companies ensure equipment is working at peak capacity. 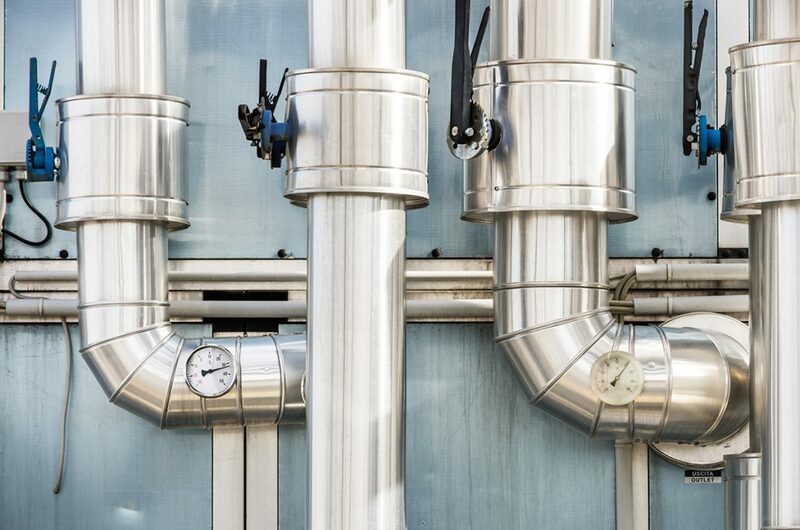 Pressure and temperature readings, as well as reliable and timely information on run-time hours, make it possible to manage production and schedule maintenance activities. Energy companies can also track shutdown codes and remotely diagnose a problem before dispatching a technician. This increases the likelihood of fixing a problem during the first visit and helps ensure technicians have the right parts, procedures and equipment upon arrival. Fewer visits translate into labor and transportation savings for energy companies. The Environmental Protection Agency (EPA) estimates that that there are approximately 1.3 million regulated underground storage tanks in the United States, while the American Petroleum Institute (API) estimates there are about 700,000 petroleum storage tanks. Whether they hold oil, condensate liquids or saltwater, tanks can leak, overflow or spill. When this happens, not only do tank owners have the social and environmental responsibility to clean up the damage, they may also be subjected to regulatory fines. Both above-and-below-ground tanks can be remotely monitored to avoid these costly problems. Level sensors connected to IoT devices can report when the contents of a tank have reached a high level and need to be emptied. These sensors can also be used to detect possible corrosion and leaks when unexplained low levels are detected. Also, remotely monitoring pumps and their power sources can be a cost-effective way to ensure that overflow doesn’t happen. Lease Automatic Custody Transfer (LACT) meters are critical instruments in the ownership transfer of petroleum products from production to gathering companies. Their volume readings help companies determine how much oil is being moved and what to charge. According to the U.S. Energy Information Administration (EIA), in 2015 there were over 600,000 active oil well sites throughout the United States. Many of these sites are in remote areas where there is little infrastructure and it can take many hours even days of driving to reach them. Remotely monitoring the LACT meters at these sites is the only cost-effective way to accurately bill customers based on volume without physically visiting the site. Used in cathodic protection systems for pipelines, tanks, wells and other critical equipment, rectifiers send a current through the exterior of the pipe to keep it from corroding. It is important to monitor the current and voltage sent from these rectifiers in order to lengthen the life of the pipeline and reduce the risk of leaks. 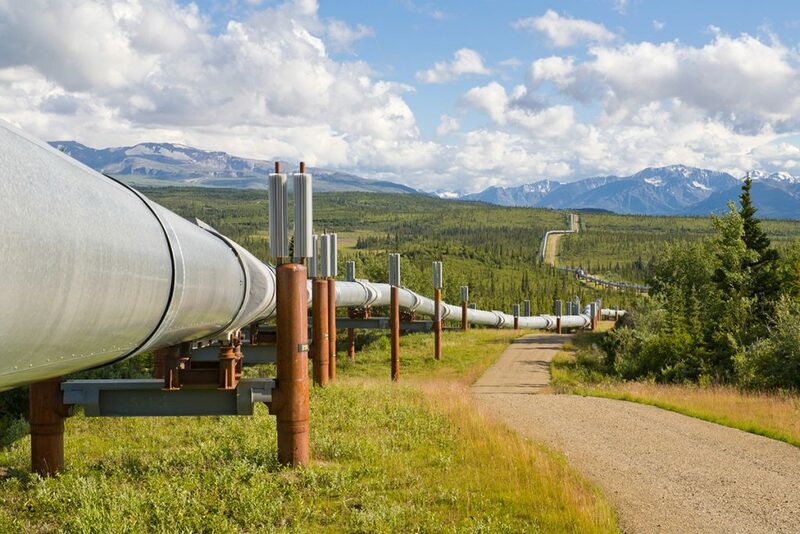 Remote monitoring of cathodic protection systems also helps maximize the life of the pipeline network, preventing premature failure by corrosion. Through remote monitoring of rectifiers, pipeline companies reduce the need to physically drive to remote sites to take voltage and current readings. Automated remote monitoring also creates an auditable record trail of pipeline health data, which is legislated in most countries. Test points measure pipe-to-soil potential to certify effective cathodic protection. Like rectifiers, test points need to be monitored and configured on a regular basis to lengthen the life of underground pipelines and tanks, as well as to reduce the risk of leaks. According to the EIA, there are over 305,000 miles (488,000 km) of interstate and intrastate transmission pipelines. The cost of driving to these sites and checking test points along the vast network can be very costly. Automated remote monitoring of this equipment can pay off very quickly. Remote monitoring solutions can collect data from multiple rectifiers and test points, and send it as frequently as required to increase the efficiency of the system and comply with regulations. Pipeline Inspection Gauges (PIGs) are devices that run inside the pipelines and take readings and pictures to detect anomalies or corrosion that may lead to leaks or bursts. Using tracking devices along pipelines and GPS-synch time and location technology, technicians can align PIG readings with exact location, helping them improve the accuracy of PIG readings and reduce the time and costs associated with doing PIG runs. For large commercial and industrial consumers, a continuous and guaranteed supply of natural gas is a must to keep the business operating. For suppliers of natural gas, being able to predict demand helps them balance how much product they need to purchase and deliver against cash flow. The remote monitoring of gas meters can help meet the demands of both consumers and suppliers. By gathering daily usage data, supply companies can use the information to forecast purchases by date, quantity and cost. Not only does this enable efficient cash flow management, but it also increases customer satisfaction by allowing suppliers to ensure a steady supply at the most competitive rate. Which oil & gas remote monitoring system? Reliable and accurate collection of data from equipment is critical for a remote monitoring solution to meet its promised value. Look for solutions that connect to multiple equipment interfaces and can be configured to report at the frequency that meets your company’s requirements. Look for a solution that offers a cloud-based interface so that an authorized user can view the data from a portal or mobile device. Also, a solution that delivers alerts by email, text message or phone helps ensure the appropriate personnel are notified. Not all remote sites have access to power. Look for monitoring solutions that use a power source that works with the equipment already in use. For example, a unit paired with a rectifier can run off the rectifier’s power source or requirements. A tank level monitor can be solar powered. Also, having a back-up battery or a solar option is important where power outages might occur. Evaluate both the initial and ongoing costs when considering a remote monitoring solution. The remoteness of a location and number of assets being monitored must be taken into account when choosing a solution. Often, deploying a full-scale SCADA system in a remote area can be cost- prohibitive. Look for a solution that can still meet the local monitoring and control functions that the company requires, without the financial burden. There are many communication options available in the market. Look for a solution that functions with multiple communication modes. A solution that includes cellular and satellite messaging will provide cost-effective options for areas with and without terrestrial coverage. Back-up communication when the primary network fails is key to ensuring uninterrupted visibility of operations. A solution with customizable reports will convert data into important information. Integrating data into existing enterprise systems will also ensure that everyone from accounting, production and maintenance can understand what is happening at remote sites in order to increase profitability. 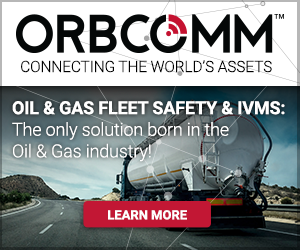 To learn more about ORBCOMM’s portfolio for the energy sector, contact us at sales@orbcomm.com and be sure to visit us at Booth 1971 of DistribuTECH, January 23-25 in San Antonio, Texas. Mark Kuiack is Director of Digital Marketing for ORBCOMM. He is responsible for the strategic direction of ORBCOMM's web and social media presence, and has over 15 years of experience in marketing and writing about various technology applications. These all assets are very important and needs to be tracked. If anything is missed can lead to huge disaster including loss of property, assets and manpower. Quite an article. Surely saved a lot of resources for oil and gas asset management companies. Keep Writing!